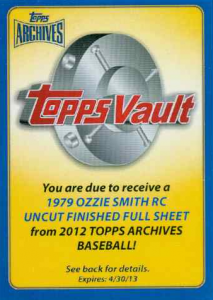 When 2012 Topps Archives Baseball released last week, massive four-figure single-card sales weren't expected. It's a set focused more on beloved players from the past and not high-end legends. 2012 Topps Archives has refreshingly few parallels and not a lot of stealth gimmicks (unless your name is Jose Oquendo, who has nine different autographs). So while the initial sales haven't reached the same extremes that 2012 Bowman Baseball did, 2012 Topps Archives is still packing a lot of value. Leading the way are a pair of high-profile rookies: Bryce Harper and Yu Darvish. 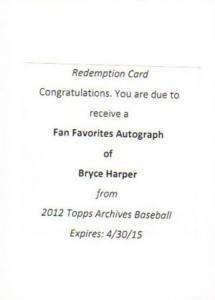 Harper's Fan Favorites Autograph, a redemption, topped all opening week single-card eBay sales, notching $658. Another also finished in the top ten sales, going for $521.11. This is Harper's fully licensed autograph card and will feature the Nationals outfielder on the 1984 Topps Baseball design. 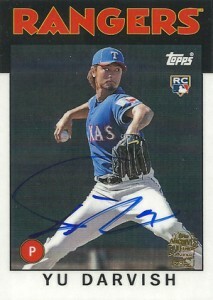 Darvish's 2012 Topps Archives signed card isn't part of the Fan Favorites Autographs checklist. It still sticks with the theme of retro designs, though, taking its inspiration from 1986 Topps Baseball. Despite Darvish's autograph becoming more plentiful with each ensuing Topps release, prices are still very strong. The Japanese pitcher nailed down four of the top ten sales with two going for $539.99 and another pair at $525. The only other two names among the top sales are a pair of legends. 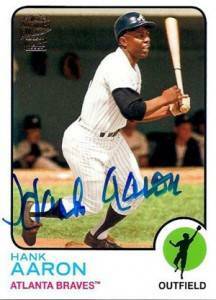 A Hank Aaron Fan Favorites Autograph was the second highest sale of the week, closing at $586. Another sold for $526.55. A Sandy Koufax Fan Favorites Autograph redemption ended for just a little bit less at $525. A prize redemption for an uncut sheet of 1979 Topps Baseball, which is highlighted by an Ozzie Smith rookie card, closed at $520. Overall, 2012 Topps Archives Fan Favorites Autographs averaged $22.31. This doesn't include Darvish, a pair of signed box toppers or the rare Framed 1983 Mini Autographs. Although some of the cards can already be found for less than $5, the overall average is relatively strong. The Karate Kid-themed box toppers did well considering they were a bonus item. The Billy Zabka autograph averaged almost $40 while Martin Kove averaged about $25 -- not bad for a pair of actors who haven't had a lot of high-profile roles in the last two decades. 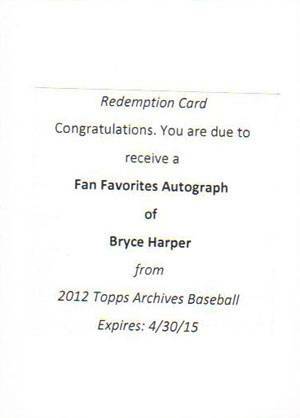 One piece of notable non-nostalgia in 2012 Topps Archives is that the set is home to Bryce Harper's first rookie card. The super short print is extremely tough to find. eBay sales of the last-second addition to the set have averaged $205 thus far. Here is a list of the top 2012 Topps Archives eBay sales realized during the set's first week of official release.